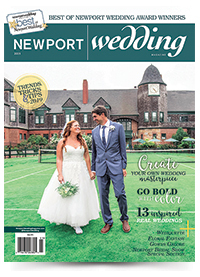 Start planning your day at the 17th Annual Newport Bridal Show! Click the button below to download your copy of the schedule of the events at both mansion venues. 12:00 pm & 2:30 pm: Fashion Shows. Two Shows, Two Times, Two Venues...You Can't Miss! Watch our TV Commercial. Click below!